Ed Merrin - Blog | Philanthropy, floristry, garden design and antiquities are just a few of the host of things that make up who Ed Merrin is. 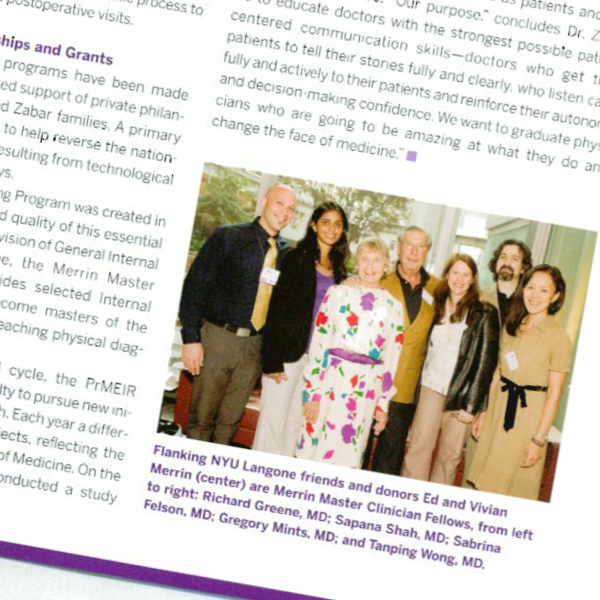 Ed is a keen supporter of NYU’s Program for Medical Education Innovations and Research (PrMEIR) through the Merrin Bedside Teaching Program. PrMEIR’s faculty development programs have been made possible by the deeply appreciated support of private philanthropists, such as the Merrin and Zabar families. A primary goal of these programs has been to help reverse the nation-wide decline in bedside teaching resulting from technological advances and shorter hospital stays.